The Twins will likely choose between two college players and a high school star. MINNEAPOLIS — The last time the Minnesota Twins had the No. 1 pick in Major League Baseball’s draft, they were trying to decide between a can’t-miss pitching prospect and a hometown hero they hoped would one day help them dig out of a decade of futility. It was an excruciating decision between USC ace Mark Prior and high school catcher Joe Mauer, one that had team executives flip-flopping until the moment the clock started on that June afternoon. Sixteen years later, the Twins have the first overall pick again. If they connect Monday night, as they did in 2001, another renaissance could be around the corner. “It’s a rare opportunity that you get this chance and you want to get it right as best you can,” Manager Paul Molitor said. It’s the first major decision for new chief baseball officer Derek Falvey, the 34-year-old who was brought in from Cleveland this winter to energize a Twins front office that was well-respected, but has endured a six-year playoff drought that bottomed out with last season’s 103 losses. Falvey and GM Thad Levine have said they do not believe this year’s class has a Bryce Harper-type prospect, the kind of surefire star that can become the face of the franchise. Options for them included California high school standout Hunter Greene, Vanderbilt right-hander Kyle Wright and Louisville first baseman and left-hander Brendan McKay. “I don’t know that there’s one that stands out from the rest,” said Falvey, who added that he sees opportunities throughout the draft to bolster a farm system that has been picked clean with the promotions of promising youngsters Miguel Sano, Byron Buxton, Jose Berrios, Max Kepler and Jorge Polanco. The situation they find themselves in now is eerily similar to where they were in 2001, coming off of a 69-93 finish that was their eighth straight losing season. But a young core was coming into its own, and the Twins won 85 games the same season they chose Mauer No. 1 overall, a bounce-back that paved the way for a run of six AL Central titles in nine seasons. Mauer was a local legend, a three-sport star who struck out just once in his four years at high school powerhouse Cretin Derham-Hall. He was the kind of unassuming, aw-shucks personality that grows on trees in these parts, an understated star for an understated franchise. On the other end of the spectrum was Prior, the flame-thrower with an outspoken father who made it clear that whichever team drafted him should have a spot for him on the 40-man roster right away, and should be ready to pay a premium to bring him in. The Twins ultimately decided to go with Mauer. And despite his hometown roots, there was plenty of criticism for a franchise that had gained a reputation for pinching pennies. As he has with most other controversies throughout his career, Mauer never let that get to him. Prior reached the big leagues in 2002 and was an All-Star in his second season with the Cubs. But he developed arm problems two years later and has not pitched in the majors since 2006. Mauer zoomed through the minors as well, first getting called up in 2004. He was one of the best-hitting catchers baseball has ever seen, a three-time batting champion and the AL MVP in 2009. 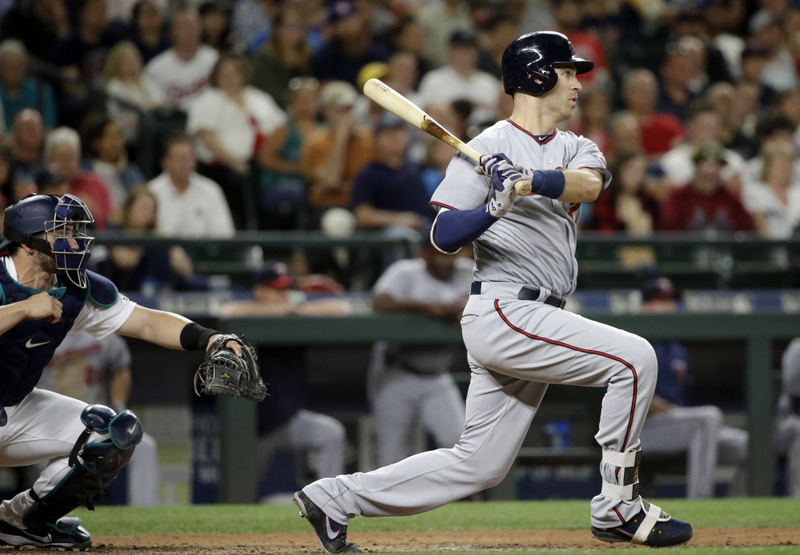 Injuries contributed to a steep decline in production for Mauer over the previous three seasons, but his resurgence this season has dovetailed with a surprising start for the Twins, who are in first place in the AL Central. Now the Twins are hoping last season’s misery will pay dividends for a team that appears to be on the rise. Adding another No. 1 pick on Monday – assuming it’s the right one – could expedite the rebuild the same way Mauer did. Mauer dealt with all the attention and scrutiny of being the No. 1 pick and remembers minor leaguers “kind of gunning for you” as he worked his way up. That makes him uniquely qualified to help whomever the Twins choose navigate the road that’s ahead.